At the 2016 AGM while making the necessary constitutional changes fo r the new laws governing associations, we also made some changes to the WILTA Committee so that we had an elected Professional Learning Coordinator to be responsible for teacher development and also a Competition Coordinator to run our now annual competition ‘Kompetisi Klip-klip’. This meant that our year of expansion in 2016 turned into a year of consolidation in 2017. 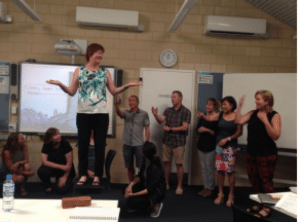 For the teachers, Ibu Marlee McAdam – our newly elected Professional Learning Coordinator – organised three workshops. The first explored the strands of Translating and Creating from the West Australian Curriculum for Languages. 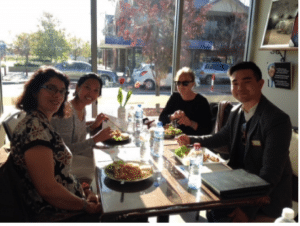 This was followed by a workshop dedicated to Languages Week and early in Term Four we will be running a workshop for teachers to share ideas about how to teach a variety of topics. 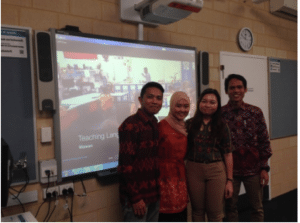 We’ve also continued to have a strong relationship with Balai Bahasa Indonesia who organised a schools’ concert with Indonesian Idol finalist Michael Jakarimilena. Our relationship with IALF, Bali continues to flourish as well with Ibu Joyce Arnold teaching English in Bali in January this year, Ibu Desan from Bali helping out with classes in WA towards the end of Term Two and Pak Brendon Cook successfully applying for January 2018. 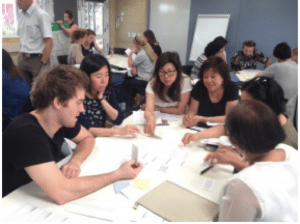 We’ve also recently made an important decision following a feedback process to support Indonesian teachers with their discussions about implementing the new curriculum (and the notional hours suggested by SCSA) by sending a letter about these changes to the principals of all schools that teach Indonesian. Finally, we are in the process of organising a school screening of an Indonesian film Surau & Silek, which is planned for early Term Four and Hoyts Cinema in Booragoon. It has been an eventful year and we’ve definitely achieved our objectives of strengthening our existing programs.